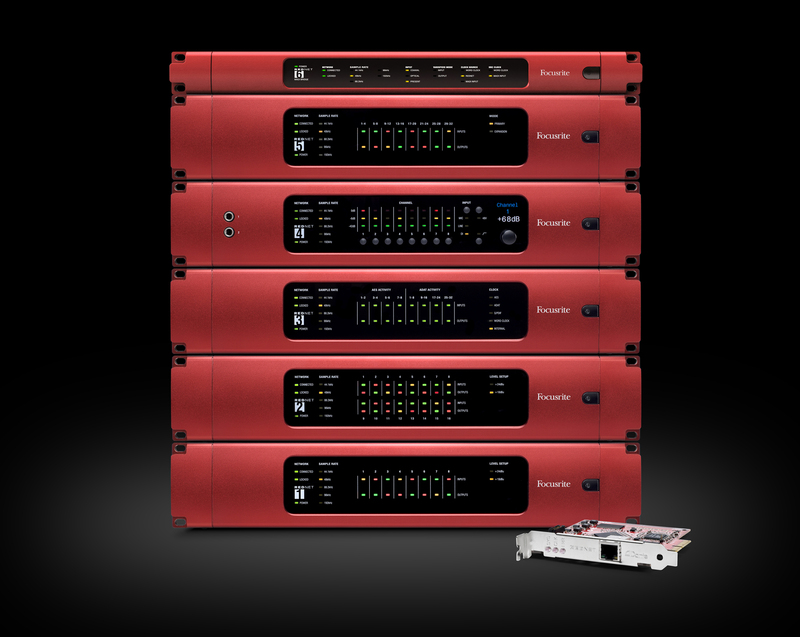 Los Angeles, CA, September 18, 2013 – On Thursday, September 26, 2013, leading audio manufacturer Focusrite will showcase its acclaimed RedNet range of products at Vintage King Los Angeles (VKLA). RedNet units are Ethernet-networked interfaces based around the industry-standard low-latency Dante® audio networking system. Demonstrating RedNet’s exceptional sounding audiophile design, and taking advantage of VKLA’s extensive installation network, attendees will be able to experience firsthand how RedNet can enhance their production workflow at this special event. Highly regarded by the Vintage King staff, the RedNet units are now a permanent component of VKLA’s audio setup and will be the subject of ongoing demonstrations in the future. Demo times are as follows: 10:00 a.m., 1:00 p.m., and 3:00 p.m., followed by a 7:00 p.m. evening mixer. Key staff from Focusrite and Vintage King will be on hand throughout the day. Demos are limited availability and on a first-come-first-served basis. Demo attendees will be entered to win a Focusrite Forte interface. Seating is limited and by invitation only; please contact Vintage King to request seating/RSVP, or visit http://bit.ly/15uz9w7. VKLA is located at 1176 W. Sunset Blvd., Los Angeles, CA 90012. "RedNet / Dante technology will be relevant to a wide cross section of our clientele, from composers and live performers to multi-room facility owners," says Vintage King Audio Post Sales Manager Chris Bolitho. "The ability to send low-latency, high-resolution multi-channel audio between systems, racks and rooms using only existing Cat 5 / 6 data wiring and infrastructure has the potential to revolutionize the way so many of them work. It's exciting to have the RedNet / Dante system permanently installed at Vintage King Los Angeles, making VKLA the premier RedNet / Dante demo facility in Los Angeles."